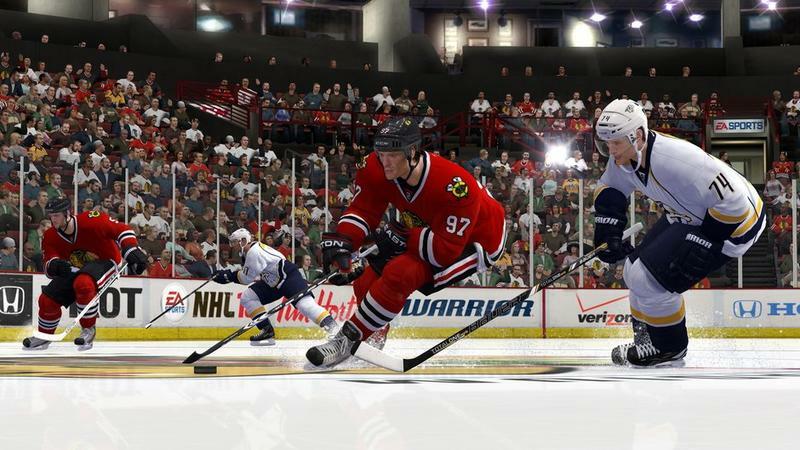 NHL 13 review: Lace 'em up? If you're a hockey fan, then you likely already know about the lockout. The NHL has been put on hold this year, and the game won't resume until the owners and players can get together and hash out a brand new Collective Bargaining Agreement. That leaves us, the fans, waiting. It's pretty ironic, then, that NHL 13 can be game of waiting around. You'll wait to play, you'll wait through slow menus and you'll wait in actual games. When you're on the ice, the action is incredible. But, like the real NHL this year, getting to the ice can be frustrating and boring. Hey, like I said, actually enjoying the title's brand new gameplay is rather fun. Here's the major problem with yearly sports efforts: changes are either minor or revolutionary. That goes doubly true for the NHL franchise. In the of this video hockey series, there have been, arguably, two groundbreaking changes that redefined virtual hockey. First, the introduction of the Skill Stick. Rather than have players shoot with a single button press, the NHL series features all stick control on the right analog stick. Second, the introduction of the EASHL (the EA Sports Hockey League). Players take command of a single skater in a shared team on the quest to play online games and become the best in the world. It's brilliant. These two things can, really, only be polished by EA. In fact, one could argue that the addition of these two pillars marks the absolute top of the NHL series. I'd agree. The problem, then, is that the NHL franchise can't really grow by tremendous leaps and bounds. So, this year, EA Sports has tried to reinvigorate NHL with a brand new skating engine. Is it as revolutionary as the Skill Stick or EASHL? Don't get me wrong, I love that NHL 13 features a completely new skating engine. Previous games have been incredibly arcadey, despite EA's insistence that this brand is all about realism. Hockey is a game of momentum. Stopping, turning, deking, hitting and shooting is all made extra difficult by the fact that it's being done on ice. Why was it, then, that each facet of hockey was pulled off perfectly in previous years for this line? 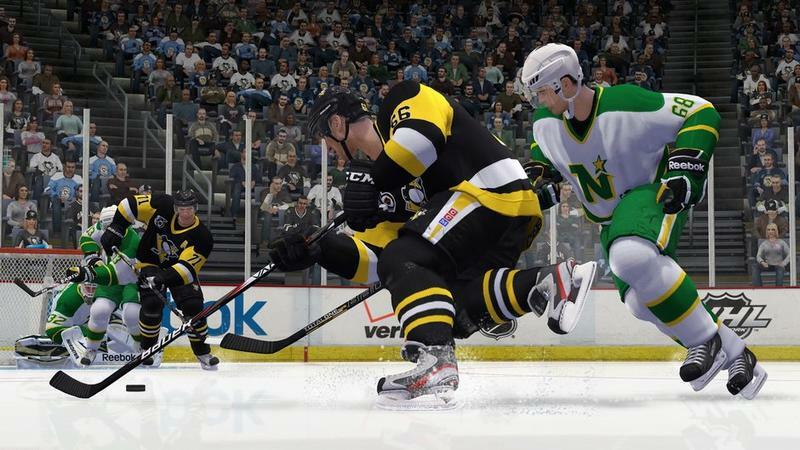 NHL 13's skating is an evolutionary step in a more realistic direction. Players are forced to account for momentum when skating into the opposition's end of the ice. If they don't, they'll take a spill or leave themselves wide open for massive checks. I had to physically re-learn how to play this game. And I'm genuinely happy with the result! I have to move the puck, consider my passing lanes, drive up the ice when I have space and leave the fancy dangling to my best players. If not, I get dominated by my opponents. But, is it revolutionary? No. This is still virtual hockey, and, to someone who perhaps isn't as versed in the NHL franchise, it doesn't really feel completely new. NHL 13's skating is an evolutionary step in a more realistic direction. Get ready to wait around… a lot. One of the pillar game modes in the NHL franchise is Be A Pro. Here, you guessed it, you can take on one position and play through the career of an existing or freshly made NHL player. It's a great simulation that allows gamers to get vested into one position for a whole slew of games. Too bad that you have to spend so much time not playing. "Oh, don't worry," EA Sports says. "We've added a sim feature so that you can fast forward to your next moment on ice." Except, guess what, nope. It doesn't work. The sim option should appear every time you step off the ice and onto the bench. Instead, it only happens a handful of times during each game. You're left on the bench watching 20 minutes of hockey without being able to touch the puck. Whoopie, video game simulation at its finest! This frustrated me so much that I recorded a full period of Be A Pro hockey in order to demonstrate my point. Here we go. Let's talk about some key stats here in the video above. The clip is entirely unedited and represents a grand total of 19 minutes and 47 seconds of gameplay. Within those 19:47, I was virtually on the ice and playing hockey for 8 minutes and 13 seconds . That's it. 8:13 actually playing hockey out of 19:47 of game time. NHL 13: Waiting. There are a whole slew of features that I didn't even touch here. The GM Connected mode lets players operate a full league with a ton of friends. It's essentially an online franchise mode. Plus, EA Sports was smart enough to keep every other mode that fans are used to in offline fashion and under their original names. You're going to wait around a lot. Not just in game scenarios like I described in the section above; if you dare take your game online, things get seriously slow. NHL 13 is the best and only option hockey fans have. Not just as a video game, but as a way to experience the professional game in North America this year (so far, anyways). If you want hockey, you'll pick this up. Is it perfect? No. It's definitely a great game, and the on-ice product is outstanding, but the UI and pacing of menus has been bogged down significantly. Oh, and it's time for new commentators. I've been hearing the same things from Gary Thorne and Bill Clement for far too long. 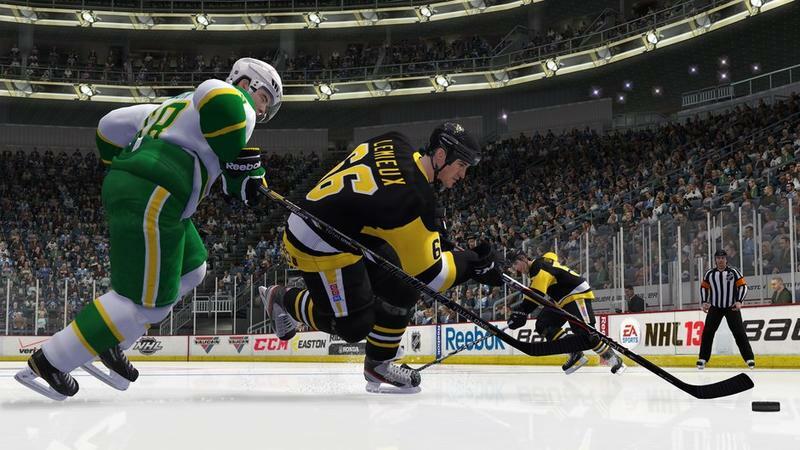 We received a copy of NHL 13 for the Xbox 360 from EA Sports a week after the game's launch. We played the title for around 20 hours before starting this review.